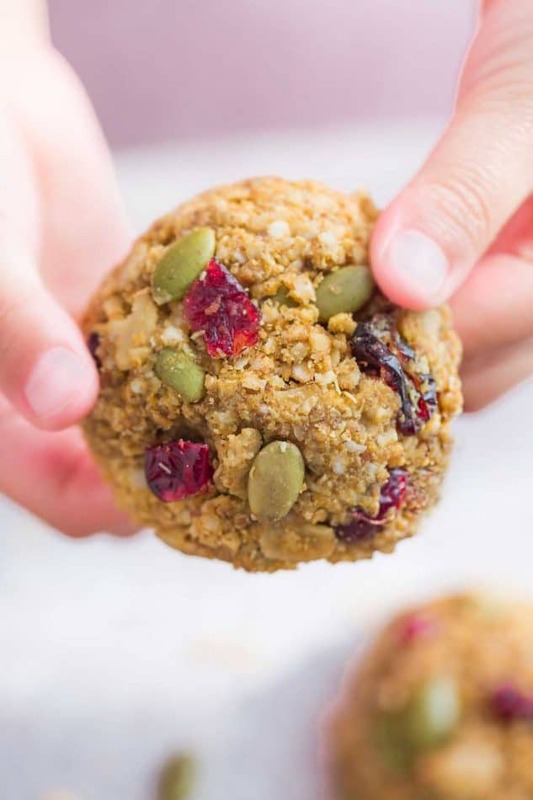 Pumpkin Breakfast Cookies – the perfect easy no bake stovetop (or oven baked) cookies for on the go fall mornings. Best of all, they are full of fall spices, gluten free, flourless and made with no butter. 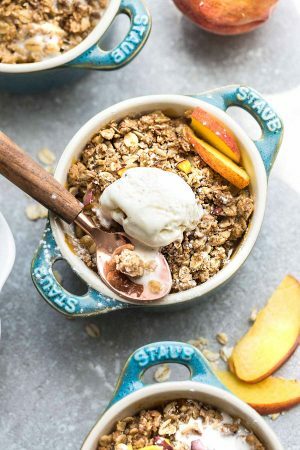 Now that the kids are back-to school, quick and easy breakfasts and snacks have been happening a lot around here. And what better way to get your kids excited to get up early for school than with cookies? Breakfast cookies that is! 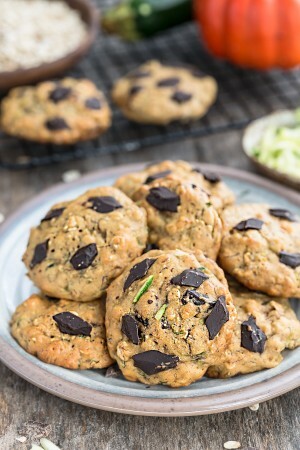 Since these Zucchini Breakfast Cookies have been a popular favorite around here, I just couldn’t wait to make a pumpkin version for fall. 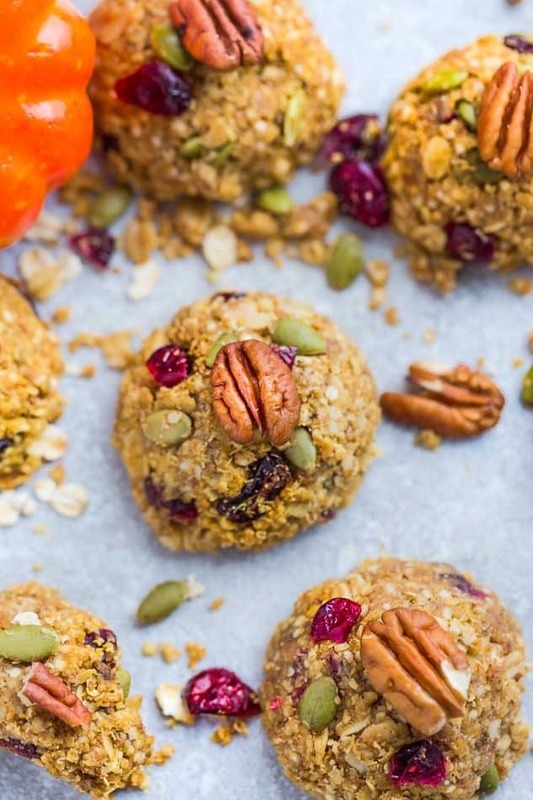 The great thing about these Pumpkin Breakfast Cookies is how easy they are to customize with your favorite mix-ins. 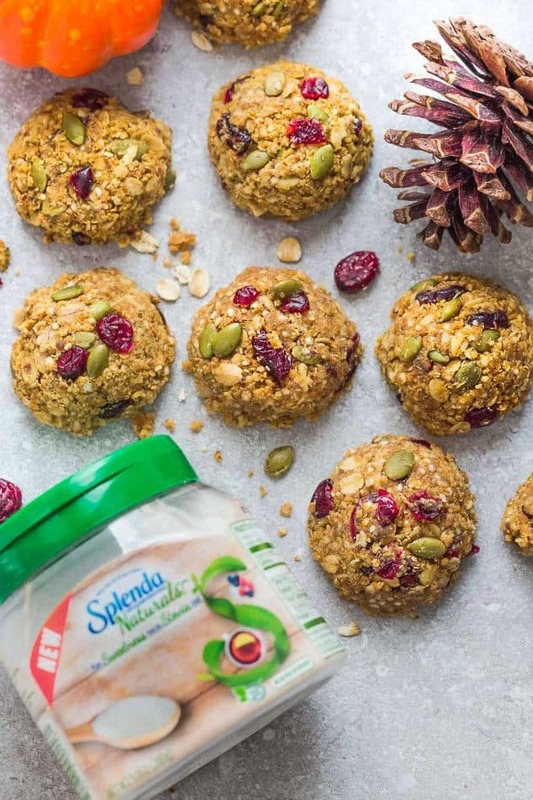 I also swapped out regular sugar with SPLENDA® Naturals Stevia Sweetener. It’s made with a cleaner-tasting part of the stevia leaf and provides the same sweetness as two teaspoons of sugar but with no calories. What I love about these Pumpkin Breakfast Cookies is that they start off the same way a classic no bake stovetop cookie does. You just heat up the almond butter, coconut oil and sweetener in a large pot. Once the mixture boils, stir in the remaining ingredients until combined. Use a medium cookie scoop and drop onto a parchment-lined baking sheet. Place baking sheet in the freezer for 15-20 minutes and you’re ready to enjoy. They’re perfect for those early mornings (or hot days) that you don’t feel like turning on the oven. And for those days you’re craving a warm baked cookie, just pop them into the oven for about 8-10 minutes. 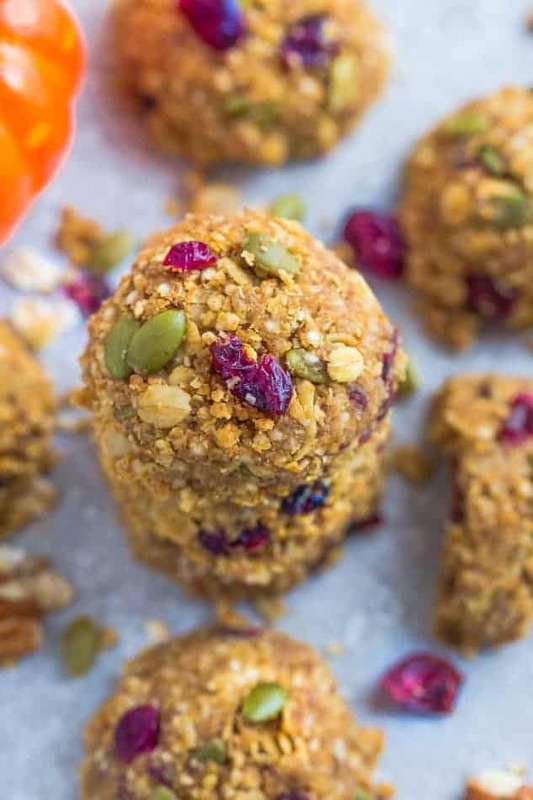 Pumpkin Breakfast Cookies - easy no bake wholesome cookies for on the go. 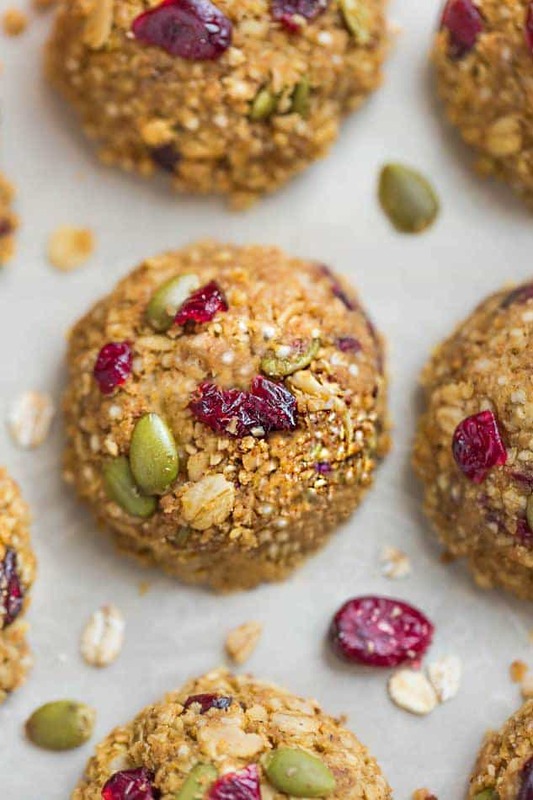 Best of all, they are full of fall spices, gluten free, flourless and made with no butter. In a large pot, combine almond butter, coconut oil, pumpkin and sweetener. Bring to a boil and allow to bubble for 10 seconds. Remove from heat and stir in the pumpkin pie spice, cinnamon, salt, vanilla, almond meal, quinoa flakes and rolled oats. Fold in the pumpkin seeds, cranberries and chopped pecans. Using a medium cookie scoop, pack into tight mounds and drop onto a parchment or wax paper-lined baking sheet. Press down with the back of a spoon to flatten slightly. Optional: Top with additional pumpkin seeds and dried cranberries or press a pecan half in the middle. For No-Bake Version Place in the freezer for 10-15 minutes, or until set. Store chilled in a covered container or in a resealable bag in the fridge or freezer. For Oven-Baked Version Bake in preheated oven at 350 F for 8-10 minutes. Allow to cool on the baking sheet for 10 minutes and store in a covered container at room temperature for up to 4 days or in the fridge or freezer.